Extraordinary Arts & Crafts Design Entry Door, Service Door and Garage Doors. This front entrance door was built to coordinate with a pair of garage doors and a service door. 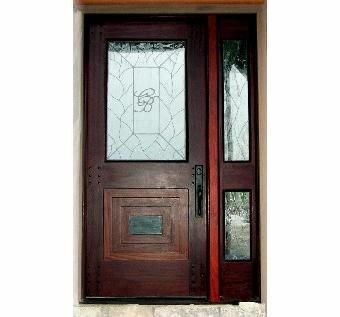 The door is crafted from African Paduak and Spanish Cedar and is accented with a large Gaboon Ebony Panel and plugs. 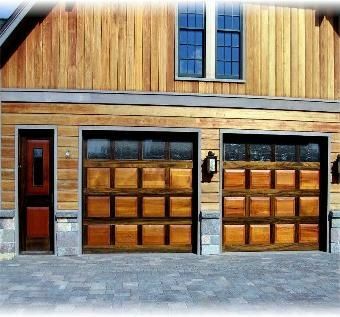 Dimensions: All doors and garage doors are custom fit.